Can A Clean Office Increase Productivity? In a lot of offices and work places, most of the managers pay their entire focus on the day to day business activities. These day to day business things include expenses reduction, managing employees, increment in profit and having new customers to generate more business. Indeed, these some of the most important and essential things for any business, but office cleaning is also an essential subject that mangers should keep in their mind. Many of them remain focused on the productivity, they ignore the office cleaning part in shadow of other things and it not only affect the overall productivity but it affect performance of their work as well in a negative manner. Here, you may ask a can a clean office increase productivity? If you have this question in your mind, then straight forward answer is yes for you. 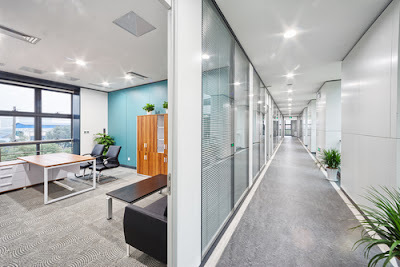 Proper office cleaning can certainly increase the productivity for you and your work and here are few key points that can prove this opinion to you as well in really easy to understnad manner. Less illness: In many offices, productivity decreases because their employees take sick leaves. Here, I do not need to explain this simple fact that if you will have a dirty environment in your office, then your employees will surely get ill and that affect your productivity as well. When your employees are on sick leave, then you have to give their salary and other wages to them, but they won’t be doing any work for you. This will be a double loss for you and if few employees get sick at the same time, then it can affect your productivity in a great way. And when they are back from sick leave, then also they may or may not perform equally great for next few days. But if you will pay minute attention on the office cleaning work, then your employees will have fewer chances of getting sick and they will not take that many sick leaves as well. Thanks to proper office cleaning they will not get sick and it will not affect your productivity as well. Better mood: If you have better mood, then you will defiantly do better things in your work as well. This is a simple rule that is applicable on every one including your employees as well. If you will give a good environment to them, then it will increase their productivity as well. Proper office cleaning can also help your employees to have a better mood which is essential for the better productivity as well. With this cleaning your employees will feel fresh, they will not get any kind irritation and they will not have to worry about other issues as well. Also, they will not feel any kind of disguise due to the dirty environment .So that is one more key point that can explain how proper office cleaning can help you have better productivity for sure. 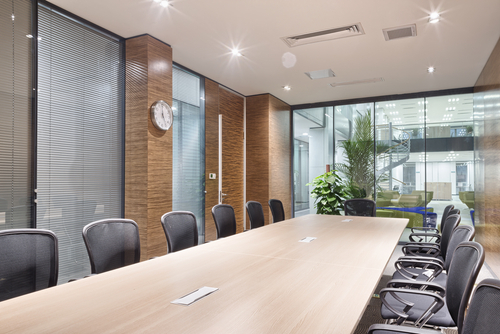 Better surrounding: If you want to have better surrounding in your office, then also proper cleaning is very much important for you. You must understand that surrounding of your office also play a major role in the productivity of your work. Think about a situation, you go to some place and that place is smelling really bad, then you would not want to stay there at all. You will stay worried about your health and you will run away from there as soon as possible. Same goes to your office as well. If you don’t do office cleaning in a smart way, then your employees will remain disturbed with the bad smell and other factors and they will run away from the work places as soon as their time is over. But in a clean working environment, they will not have such issues, they will pay total attention only on the work and they will not look at the watch to get off from the work. More hygiene: More hygiene in your office is directly proportional to more productivity as well. 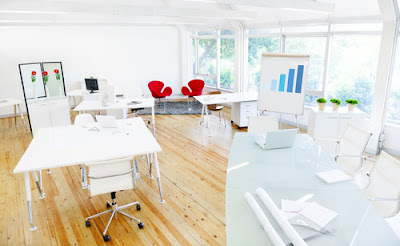 With office cleaning, you will get proper and clean office, you will have nice smell and you will have a place where everyone would love to work. I don’t have to explain this simple fact to you that if you will have such place where people would love to work, then they will give their complete dedication to work. This is a well-known fact if employees work in any organization with sense of belongingness and authority, then that company or organization always grow in a great way and gives the best productivity results as well. So, you will have more hygiene with office cleaning and it will affect your productivity as well in a really simple and fantastic manner. Better impression: Proper office cleaning help you build better image in public as well. When you build better impression in the public, then you get more clients and much better people want to work as your employees. If you have more clients and if your work force gets stronger and more intelligent people, then you automatically increase your productivity. The best thing about this method of productivity increment in that you not only get better productivity, but you also reduce your cost of investment as well. So, we can say you increase your profit that too without actually increasing your cost or other issues. Just like these things there are so many other things as well that can prove the relationship of productivity with office cleaning. Other than productivity, regular office cleaning can also work in a number of different ways for you to save money. It can reduce your aircon maintenance cost in a great way and it can help you get comfortable office with less electricity consumption as well. So, if you are not giving any importance to office cleaning so far, then now is the time to change your opinion. Now you should think about having right kind of cleaning methods for your office so you can acquire all the benefits including productivity enhancement and saving of money by various means.